Setting you up with all the essentials, this semi guided 4-Day Melbourne Mini Pack is absolutely perfect for people that want to start their Australian adventures in the right way. The 4-Day Melbourne Mini Pack is ideal for Working Holiday, Gap Year and Backpacker travellers who want to explore Melbourne, have those first few days organised and benefit from a lifetime of expertise from our team. We promise that you'll be picked up from Melbourne International Airport any day, any time! YHA is the world's biggest hostel chain for a reason, high quality! You'll spend 3n in the beautiful YHA Metro property. 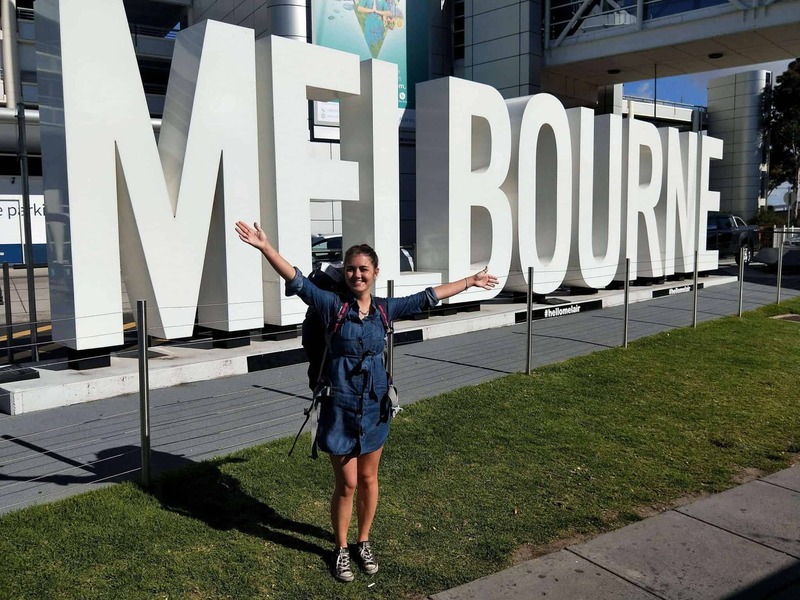 Coming to Australia on a working holiday visa? We know no-one enjoys the admin so we do it all. Phone, bank, tax, we've got you! Having been tourists before living here, our expert guides know their stuff which makes them perfect to show you this fantastic City. Our international guides have travelled all around Australia and they will always be be there for questions, forever, not just 4 days! Welcome to Melbourne, the world’s most liveable City. We have been on those flights and know all about the jet lag so we’re going to make it easy for you. We will arrange an airport pick up that will take you directly to your hostel where you can rest up and get your bearings before catching up with us in the morning. The morning will see you meet your guide and help you get set up with all your essentials including your SIM card, Bank account and Tax File Number (TFN). After the admin is sorted it is time for you to explore the city. Your guide will show you all the City hot spots making sure to showcase the mind-blowing street art, countless hidden laneways and incredible cafe culture, as well as teaching you a little history on the way! You now have your bearings of the city, so it is time for you to go an explore it yourself. Whatever you want to see we can promise the best advice and tips. Whether it be Kardashian street art mural, a hidden gaming bar, cute beach huts or the best cake shops on offer, we’ll show you how to find them. For sunset you can experience Melbourne in a totally different way by taking the elevator to the 88th floor and seeing the city from 297 metres high. Your Eureka Skydeck ticket is included in your package. THIS IS THE DAY WE MAKE SURE YOU ARE COMPLETELY READY FOR YOUR TIME IN AUSTRALIA. WE CAN GUARANTEE THAT YOU WILL LEAVE US FEELING EXCITED, RELAXED AND READY FOR THE WORLD…. The Melbourne Mini Pack runs every day but Fri/Sat and is incredible value at $299. Check your dates and book below. Looking for a group tour? We recommend organising this as soon as possible. The application can be competed through your travel agent, or directly through the Australian Government website, which is here. If you’re travelling as a tourist for a few weeks you don’t, a pre-loaded travel cash card would suffice. If you’re here for a prolonged period then it’s highly recommended. Not only will you save a lot on exchange/transaction fees but employers will only pay wages in to an Australian account. It’s also an extremely easy process that we will co-ordinate. Once you’ve transferred your budget from your home account to your Australian account, you’re ready to go. This depends on trip length, your travel style (backpacker or flashpacker) and what are your bucket list items while here. This is basically your identity number for the Australian Tax Office and is required so you can be correctly taxed on your income from day one. You will provide this to each employers you have while here and your tax will be deducted from your wage accordingly, just as it would be in your home country. You will receive your Australian sim card on the afternoon of the first day on tour. Medicare is Australia’s subsidised health system and as part of a reciprocal agreement between the two countries. Please check this link to see if your country is eligible. Click HERE. With our help, that’s how! As part of your Welcome to Travel: Melbourne package you will receive our two-part employment guide. One part is about the tips and advice on finding a job, and the second part is exclusive access to our portfolio of employers in several sectors such as hospitality, construction, sales and marketing and many more. What happens after my Melbourne Mini Pack? That’s up to you! Everyone travels differently and will have different plans. Your plan may well change after meeting some new friends here in Melbourne. We’re here for advice at all times and whether it’s work or travel you’re looking to organise after, we’re able to help with both. It’s totally up to you. I’ve never stayed in a dorm before, what should I expect? Expect the best experience ever! As long as you’re polite and friendly then you’ll be fine. To get the best out of your experience we recommend talking to people in your dorm as soon as possible. Travel broadens the mind and that is mainly because of people you meet. Listen to where they’ve been, what they’ve loved, what they recommend, their funniest stories, all of it! This will be you in a few months! Sure from time to time you may have a cliché guitar player, a snorer or a 6am deodorant sprayer (you’ll know what I mean soon!) but that’s all part of travelling and they’ll form your stories and travel experiences! We aim to try and get everyone on Welcome To Melbourne in the same dorm, but if you have any special requests such as, you want to be in an all female dorm or you want to upgrade to your own room. Then will be able to assist you.